The Primary Contacts without Phone Numbers Report lists patients who are missing a phone number, an email address, and/or a mailing address in their patient records. The patients on the report are grouped by primary contact. Also, for each patient, the report displays any existing contact information, blank space where information is missing), and the patient status (such as New or Active). 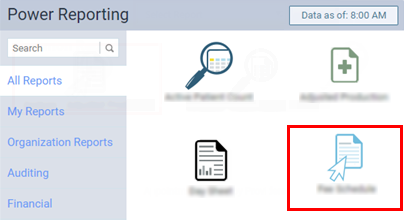 On the Power Reporting page, click (or tap) the Primary Contacts without Phone Numbers icon.